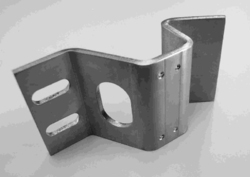 We offer a wide range of precision sheet metal components as per the Customised requirements and specifications. All sheet metal parts by CNC Laser Cutting and Precision Fabrication press work volume quantities as per your specifications and requirements. Joint Venture For Manufacturing Metal Fabrications For Export Are Welcome. 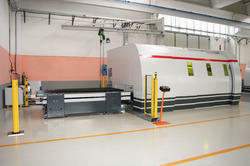 We Offer Economical Rate For Laser Cutting, Cnc Bending And Metal Fabrication Work In Volume Business Long Term Tie Up. 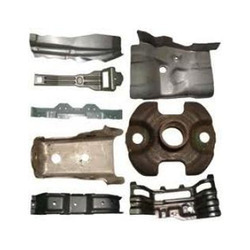 Owing to our technological adeptness, we are at the forefront of providing high quality Automotive Sheet Metal Part. Our professionals are backed with vast industrial expertise to present sheet metal fabrication services for automotive parts in desired requirements and specifications. We have installed most advanced quality cutting, drilling, forming, bending, welding, assembly and finishing machineries at our work setup and utilizing the diligence of our team members to present a precisely finished product range. 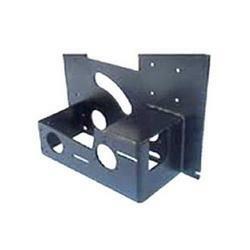 Further, the dimensionally accurate sheet metal parts can be ordered from us at a nominal price. Our vast industrial excellence has enabled us to manufacture highly reliable quality Elevator sheet Metal components. Our technological adeptness equips us to leverage the advanced CNC based techniques for fabricating textile machinery parts in customized dimensions. We invest heavily in implementing the leading cutting, drilling, forming and bending techniques to bring forth a precisely fabricated range of parts and components for textile machinery. Further, these parts are fabricated and can be availed from us at a market leading price. We are reckoned as major entity actively engaged in offering widely demanded Precision Engineering Component. Owing to the next generation CNC based infrastructure, we are able to render all kinds of fabrication work. Our technological adeptness enables us to perform the quality oriented tasks for fabrication of enclosures, panels, cabinets and other components made from varied thickness of metal. Further, the offered services are rendered with use of highly efficient pressing, casting and bending machines and can be ordered from us at a leading price. We offer Sheet Metal Parts By CNC Laser cutting services for prototyping, small volume production as well as production line integration. This helps in leading to overall cost saving and further helps in enhancing production efficiency as well as accuracy of finished products. We are engaged in manufacturing, supplying and exporting of a wide assortment of Precision Sheet Metal Components, stainless steel fabrications, aluminum fabrications, water jet cutting service. We also undertake fabrication services including CNC bending and laser cutting works. Our comprehensive assortment meets varied demands of textile machinery fabrication, agricultural equipment and other machinery manufacturers. 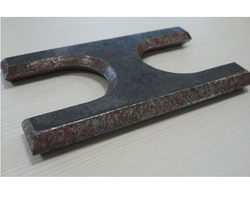 We use fine grade raw material like mild steel, stainless steel, brass, aluminium etc. in fabrication of our assortment. These are procured from reputed vendors.